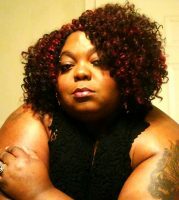 Few things give me more pleasure than introducing Portland Notes music fans to Renee Dunn, aka Cocoa Venus. 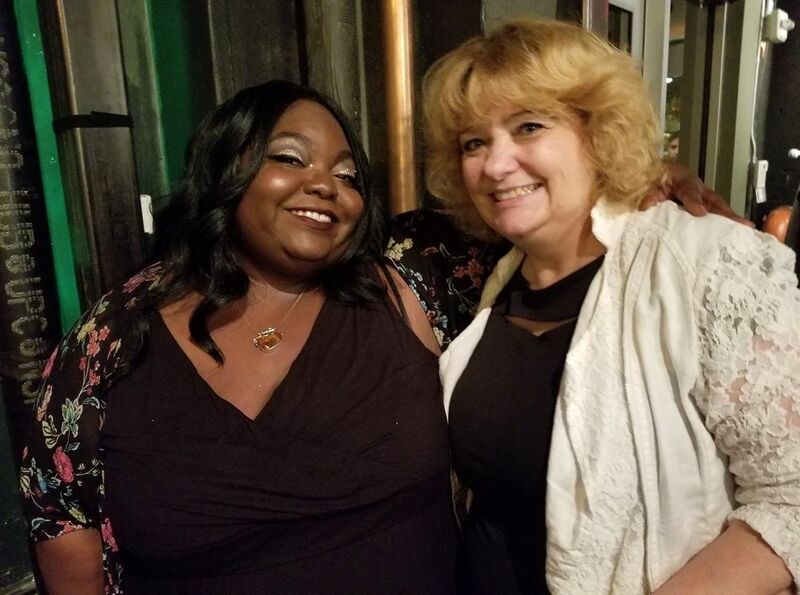 I came across Renee Dunn last fall when the music emanating from a little bar on the North Park blocks drew me inside. It was then and there that I first saw Renee Dunn fronting her previous band, Gold Ensoul, with her unique charisma and strength. I stayed there until the she had played every song she knew. It was one of those cathartic musical experiences, watching local dancer, Natasha Kotey, add another dimension to the show, and seeing how others besides myself were drawn in from the street. Renee and I exchanged contact information, became friends on fb, and I patiently awaited for the release of her debut album. 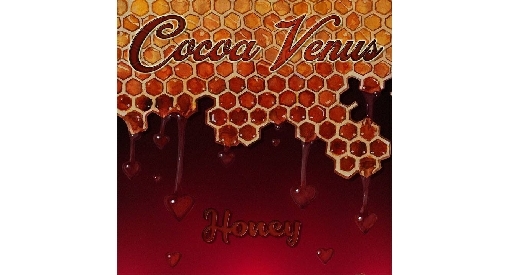 Her new album, Honey, released under the artist name Cocoa Venus, shows that the spirit of the blues is alive in Portland, Oregon, of all places. I spent my college years in Chicago listening to the live blues of Koko Taylor, Melvin Taylor, Buddy Guy, and Junior Welles. That’s where I witnessed the blues firsthand, and the emotion that drives it. While Dunn resists being categorized or labeled, she conveys a similar passion and authenticity as her musical forbearers, but she takes that torch and moves in a new direction, with an updated message that fits with the modern world. Renee heals and inspires people through her music and stories, as well as through her profession as an empathic tarot card reader and spiritual astrologer. Learn more about her amazing life experience, perspective, and musical process in the interview below, check out her album, follow her on fb, and go to her free all ages CD release party on Sunday, August 12, 4-6 pm, at the White Eagle. PN: Is this your first professional recording production? CV: It is! I’m still low key in shock and awe that this is mine, tbh. PN: What inspired you to record these songs? CV: I have been a singer since I literally physically could, and writing -including song writing- always came easily to me. 3 out of 4 of the songs on this E.P. have been floating around in this head of mine for years, I just never had the just right moment or the just right people in my life to make it happen. 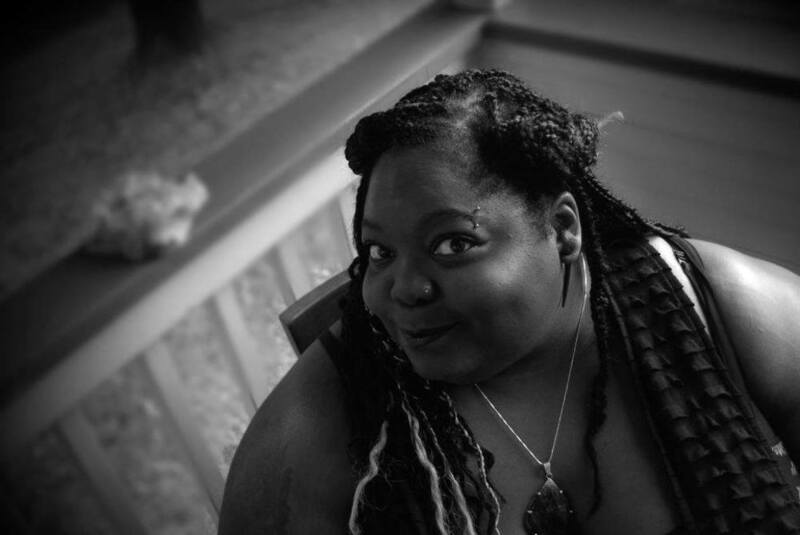 And, if I’m going to keep it all the way real… I think there was a bit of not feeling like I could, or that anyone would ‘get’ my art if I did; being seen as both Black AND ‘alternative’ hasn’t always been a thing. Even now there is a fight to not be automatically labeled. But then a combination of things happened that sorta turned it around for me: I spend my professional life in service to helping people heal and it is my truest hope to have every client leave their session with me feeling competent, capable and seen. In my soon to be 12 years of doing this work I have witnessed so many people take these awesome steps toward their dreams. Turning 40 did something to me. It made me realize I TOO could be taking those awesome steps. It lit a fire in me to start trying to actually do something with the songs in my head. So for the next 3 years I had failed attempt after failed attempt with various Portland based producers/beat makers/musicians and it straight up at times felt like I was almost cursed! People ghosted, talked a big talk and couldn’t deliver, etc. I was really upset and angry….but I mostly just really felt hurt and rejected. One evening and I’m sitting in a cute little jewel box of a bar with a friend that has been one of my #1 cheerleaders and *I* think we’re there to work on a project and that’s how it started out. Little did I know I was totally being set up! She knew the owner of the bar and I’m pretty sure she had talked about my being a singer. Also…it just SO HAPPENED to be open mic night. One thing you learn about being friends with this particular woman is that it is really hard to tell her no when it’s something that’s going to grow you, haha. So after a good amount of ‘encouragement’, haha, I folded and hopped up on the stage to sing. The evening ended on an offer to do a monthly gig. All I needed was a band. A band I had been trying in various ways to form since 2005 when I moved here! The saying ‘timing is everything ‘ proved true, like, INSTANTLY and I suddenly found myself the frontwoman to a badass group of crazy talented musicians. I couldn’t believe my luck and I was scared sh*tless. I started a soul cover band called Gold Ensoul and got a taste of what it meant to be a front woman and what it takes to be a performer and not just a singer. I got so much education and love from those few shows that I thought to myself…why not go for it? So I’m 44 and I’m thinking…if not now WHEN?? If this is meant to be, it’ll work. The Universe dropped my producer into my world and 10 months later…Honey is born. PN: I first saw you perform at Sante with a small tight band, and Natasha Kotey was dancing to your music. How do you know the musicians and dancers, ie, can you describe the music community/scene/culture that you participate in? CV: This has been a really difficult part of my creative experience because when I say I’m an empathic introvert I REALLY mean I am truly an empathic introvert. Artists have to have a certain amount of extroversion because there is a lot of group get-togethers/meet and greets/jams and that is sincerely a form of torture for me. The thought of lobbing myself into a group of strangers fills me with anxious dread. I know what you may be thinking: You get up on stage and entertain! Right? Haha. But it’s not the same thing at all. I say all this to say that I did this all via a secret FB page for artists of color in Portland. And those two or three posts gifted me with all but one person in my band and every single dancer that danced with us. I’m really working on getting myself to go to jams and meet other artists…because that’s truly where the deepest connections are and there’s no better way for people to see what you’re working’ with than to show up and let them see for themselves. Ugh…it’s not easy though. PN: Who played on the recordings? Anything you want to say about them? CV: Some seriously talented BAD ASSES played on my recordings 🙂 I have and will always have nothing but high praise for each of them. Eric Blood, on that fat bass and Max Zatarain on that sizzling guitar were my core creatives. God bless them! Haha! I say that because what you have to understand is that all I do is sing and write… I have literally zero formal musical education. They’re asking me “Okay, what key is this in?” “Ok what this or that or the other?” The BASIC musical terminology…it all sounded like the adults in the Charlie Brown comics speaking to me. And I’m standing there smiling and blinking at them, like.. “Um.. I can sing it to you and here are the words?” Haha! Once they realized that they weren’t gonna be able to communicate with me in that way, I have to commend them on just getting down and gritty and intuitive with me. They ‘got’ me. They ‘got’ where I was wanting to go. Darian Anthony Patrick, on those tiiiiiiight drums was part of the Gold Ensoul blessing that landed in my world and I am STILL trying to figure out how I got that damn lucky cuz that man is super talented and has done work with some pretty impressive artists; including Dirty Revival. Eric, Max and my oh so psychic, intuitive, creative producer; Febian Perez and myself, would get together with Darian and show him what we had and he’d just jump right in there like “Oh, you mean this?” and then lay down fire. It was all just… Magic. So many times, especially being the only woman in the group, I had to hold it together til the end of the practices and I’d sit in my car and just smile while my eyes watered up because it is something so special experiencing the music that’s been cocooned in your mind all these years being understood, appreciated and taking shape right in front of you. The magic was so thick in those practices. I will carry those moments with me always. PN: The recordings are on Soundcloud. Will they also be on Spotify, iTunes, etc? PN: On FB I see you are very vocal about various social issues (LGBTQ, black, and perhaps other issues as well). Can you please comment on your views? CV: I don’t think you get to be a woman, who is dark skinned, bigger bodied and queer and NOT speak on these issues. Your very being is made political when this is skin you’re in. In my vocation I am about education, comprehension, compassion and liberation. That way of being doesn’t have a border for me so it absolutely blends in with my personal life. I like depth. I’m comfortable with uncomfortable conversations and inner work that requires going deep down. I’m comfortable with loving you through to a perspective your personal life experiences would have never turned you onto. PN: You have a way of inspiring people. In your opinion, what can we do to make the world a better place? CV: I do? That’s an incredibly kind thing to say! Thank you. What can we do to make the world a better place….. Hmm…..unfortunately – with the exception of a trip to Vancouver BC in my early 20’s – I’ve never traveled out of the United States, so my perspective about what the entire world needs is rather limited by that. I think a lot of people that want us all to come together are putting an imbalanced emphasis on the fact that we are all so much more alike than we are different. It’s true…we are so much more alike than we’re different… but those differences matter. They want to get to that yummy kumbaya by stepping over the hard stuff! The uncomfortable history of how we got here and of the fact that we are indeed different in ways…but that those differences aren’t bad at all and need to be acknowledged and respected and embraced. We can’t come together if coming together means you choose to only acknowledge the facets of my being that toe the line of your unchallenged comfort level. We can’t come together if you’re asking me to cut off innate parts of me to make me more like you. I believe in LOVE and I also believe that love is a VERB that is comprised of empathy, compassion and a willingness to be uncomfortable to get to the good stuff 🙂 That’s a really huge question though! PN: Who are your influences? CV: This is sooooooo hard to answer! I grew up partially in South Central Los Angeles in the mid 70’s /early 80’s and partially in the suburbs of Seattle in the mid 80’s/early 90’s. They were vastly different places and I am truly a product of them both. Although my father was a more peripheral figure in my childhood I was a preacher’s daughter and my grandmother- who predominantly raised me- was deeply religious, so I grew up on gospel and of course there was soul and funk and blues. But when my mother moved me to the suburbs of Seattle, I began developing a deeeeeep fascination of new wave. Then in my late teens there was dark wave, goth, industrial music. I truly believe that a blend of Chaka Khan, Aretha, Whitney, Stevie and BB King on one hand, blended with Concrete Blond, Grace Jones, Tori Amos, Portis Head, Nine Inch Nails and grew me. That’s the smallest sample ever, though, of my musical influences. PN: Can you comment on the meaning and or lyrics of the songs “My Last Give a F***” and “City Life”? CV: I looove those songs so much! City Life… as I mentioned, I grew up in South Central L.A. and it was such a sprawling, gritty place to grow up. I loved it! My uncle was one of my favorite people in the world when I was a kid and he was flaming gay and very alternative. He would gather all the cousins and take us to Venice Beach and Hollywood and Long Beach and museums and art galleries and show us the world outside of our immediate neighborhoods and it made a deep and lasting impression on me. It’s where I could see art, and people who were just like me and that weren’t like me at all. I loved a day of play and then coming back home, bussing or driving through the late night city with all the lights and drinking in the way the nighttime energy changes the very air around you. Then when I turned 18 I moved from the suburbs of Seattle into the city, and after having a rather strict upbringing, I tore into Seattle night life with everything in me. I know it’s an unpopular opinion but to this day I LOVE the city, especially the city at night.